Search about the tourist attractions in Cochin and you will end up with a long list. Instead of a few huge attractions, there are several smaller yet interesting places to visit. That is why the balance needs to get right. Customise based on your likes and dislikes rather than blindly following any list. If you are searching for backwater fun, the best place to be is Alappuzha, just about an hour’s drive from Cochin. That is where houseboats are based. That does not mean Cochin is a place without backwaters. Vembanad, one of the largest lakes in India joins the sea at Cochin. It is the same lake that you see at Alappuzha and Kumarakom. Government owned KTDC as well as private tour companies offer boating trips around the harbour and to several tourist attractions within easy reach. 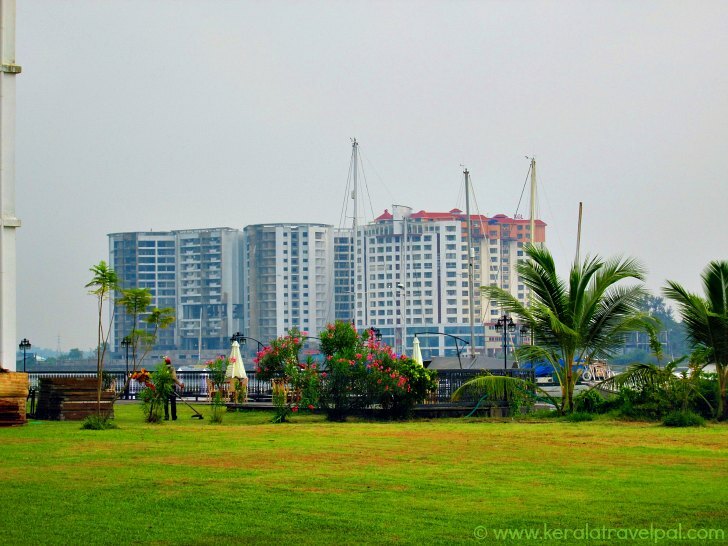 There are two boat Jetties in Marine Drive - High Court Boat Jetty on the north and Ernakulam Boat Jetty at South. Hop on a ferry for an inexpensive yet enjoyable ride. Fort Kochi has an identity distinct from rest of the town. Chinese fishing nets, colonial architecture and historic churches are the attractions. The beach needs better maintenance. Without radical transformation, Fort Kochi beach will continue to be a letdown. There are plenty of way side eateries and curio stalls. The best way to explore is to walk around. Inexpensive way to travel from town is to take a ferry from the main jetty. Alternatively, you could hire a taxi or a three wheeler or take a bus that service to here. Distance to Cochin City (Ernakulam Junction Railway Station) is about 16 kms. The converted palace of Cochin royal family is the largest archaeological museum in Kerala. The old building itself is a show piece of Kerala architecture, even in its rundown state today. The palace complex spreads more than 50 acres. Located within are 49 buildings, a few ponds, a horse riding place, a deer park, architectural and heritage museums and herb gardens. 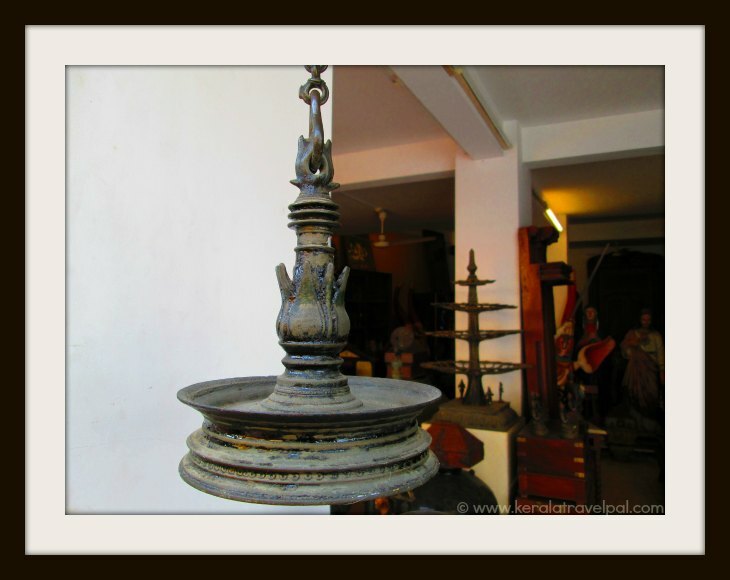 Mainly showcasing items that belonged to the Cochin royal family, the museum has sections for jewels, paintings, sculptures, manuscripts, furniture, coins etc. Hill Palace Museum is at Thrippunithura, about 12 kms from Ernakulam Junction Railway Station. This popular walkway in town attracts people from all walks of life. Locals and tourists find it a great place to relax or take a leisurely stroll. Stretching for 2 kms alongside the lake, it is lined by coffee shops, eateries and buzzing malls on the other side. No wonder the lake side of constant fresh breeze is a popular hangout. Marine drive is great to enjoy sun rise and sun set. Not to be missed are the ferry rides. Portuguese built it in 1555 as a gift to the local king. Dutch did a makeover about hundred years later. Ever since, it is also known as Dutch Palace. The main attractions are murals based on Ramayana and Krishna Lila. Paintings and items belonging to the Cochin rulers are also on display. The palace is small and unimpressive from the outside. The inside with carved wooden ceilings is a different world. 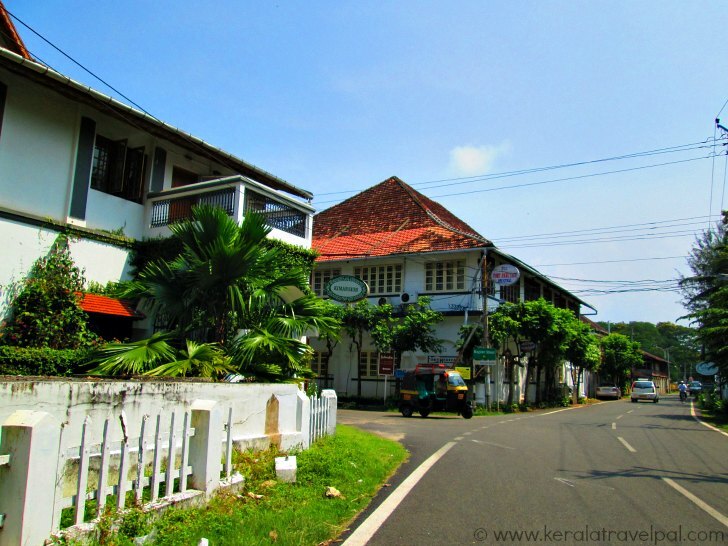 Mattancherry is about 12 kms from Cochin town. Kerala had a Jewish community for thousands of years. Now only a handful of families are left, the rest being migrated to Israel. The Synagogue, originally built about 450 years ago, was later destroyed and rebuilt. Oldest Synagogue in the whole of commonwealth countries is not the only reason to visit. The interiors are nicely done with special hand painted Chinese tiles, elegant chandeliers, scrolls and artefact. Paradesi Synagogue is located at Mattancherry, adjacent to Palace Temple. The Synagogue is closed on Fridays, Saturdays and Jewish holidays. One of the eight Basilicas in India, Santacruz Cathedral, has enough peacefulness inside to take care of wandering minds. This is a historical church, with a story that goes back to more than five hundred years. The current church, more than hundred years old, is neatly kept on the outside and beautifully done on the inside. Altar decoration, paintings and frescoes are all worth admiring, while the sign on the wall that says this is a place of worship and not a tourist attraction stays true to the cause. The Basilica is in Fort Kochi, about 9 kms from Cochin town. Bolgatty is an island just a short ferry ride away from Marine Drive. It is right across High Court Boat Jetty. From there you can hop on a ferry and reach Bolgatty in less than 10 minutes. There is nothing much at Bolgatty. It is just a nice place with a few lawns and some trees. Half the fun is the ferry ride. Bolgatty is a feel good spot where the marina and the skyline appear attractive. There is a small palace converted to a heritage hotel. Unless staying or having food, it has nothing to do with you. Never heard the story of Kerala? Head to this museum and will be happy that you did. Light and sound shows will give a good start. Life sized statues and sculptures also have a thing or two tell. There are more than 200 paintings, originals from well known Indian artists. A miniature art gallery, doll’s museum are other attractions. This historic church is one of the attractions of Fort Kochi. Originally built by Portuguese in early 1500s, this is the first church built by Europeans in India. Vasco da Gama, the Portuguese explorer, died in Cochin in 1524. He was buried here. His remains were later sent back to Portugal. The original tomb and a few old relics are the attractions. A clever way of catching fish, these monster nets are interesting to watch, when they are raised. Curious tourists love to watch and even participate while lifting them. Nowadays people are getting cheeky and even asking money to let tourists to lift them! You will see Chinese nets in Fort Kochi, Marine Drive and several other spots as far as Cherai. Are you spending several days in town? Then there are more tourist places in Cochin itself. Fort Immanuel, Pallippuram fort, Pareekshit Thampuran museum, Willington Island and Bastion Bungalow are some of them. Chottanikkara temple, Kanjiramattam mosque, Kalady, Kadamattom, Koonankurishu church and Kandanad church are associated with faith travel. The best place for beach holiday is Cherai, a village out of town. Cherai is a lovely location with backwaters and genuine country side feel. Athirapally, the largest waterfall of Kerala, is an ideal destination for a day tour. The scenic location, one of the best places to visit in Cochin surroundings, also has a few other travel attractions. Do you want to know more about best places to visit in Cochin surroundings? Click here to read in detail.